Are you looking for a bright, dynamic way to reach your target audience? Do you want to tell your customers about a current sale on fast-moving products? Digital Signs by ImageTEK Signs & Graphics will lead your potential customers to your doors for the excellent products and services you provide! Digital signs are an attractive way to provide your customers with information about seasonal products and services you offer, upcoming products, even as a way to let your customers know of your store hours! As your local full-service sign company, ImageTEK Signs & Graphics handles every aspect of the digital sign project, including sign design, fabrication, installation, we even assist with repairs and the maintenance of your digital signs. When you need affordable signage solutions, crafted to your unique brand and business personality, we are the right company to deliver the solutions you want in the timeframes you need, on time and within budget. Call ImageTEK Signs & Graphics today at (201) 351-8755 for your Free Digital Sign Consultation! Digital signs are an attractive, dynamic way for any business, regardless of industry, to promote their business and brand personality, products and services, inform the public of seasonal events, sales, and promotions, and so much more. 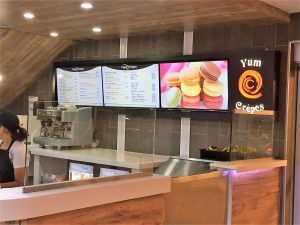 With digital menu boards, restaurants can streamline and enhance their point-of-purchase marketing, drive sales, and improve customer experience. 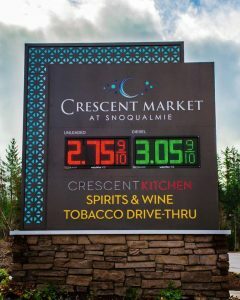 Digital message centers and displays provide gas stations with an easy way to update gas prices, tobacco or refreshment products, and more to increase customer foot traffic, and improve their bottom line. Even local pharmacies can enjoy the benefits provided by these eye-catching displays. As the temperature and seasons change, digital displays can help you promote the products your customers need to make their lives better, especially during cold and flu season! With so many options for how digital displays can assist businesses to achieve their marketing goals, it can be confusing to know what sign options best fit your business. At ImageTEK Signs & Graphics, our experts are here to help you find the right digital display to help you to attract, retain, and convert the customers you need to continue growing your business. ImageTEK Signs & Graphics creates durable, attractive digital message centers that are perfect for letting your potential customers know about the products and services you provide. Whether it is bright and sunny out or pouring rain, digital signs will attract your target audience by promising the very things they need in their lives. 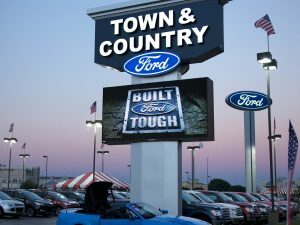 We produce LED, LCD, and projection signs to display your business name, brand, logo, and marketing information. Whether you are looking to attract customers along a major interstate or stand out from the competition in a packed shopping center, ImageTEK Signs & Graphics will deliver the perfect digital messaging solution to help you achieve your marketing visibility. Our talent signage experts discuss your ideas, goals, and budget and consider your physical location, surrounding competition, and your target audience to recommend the perfect solution for you. 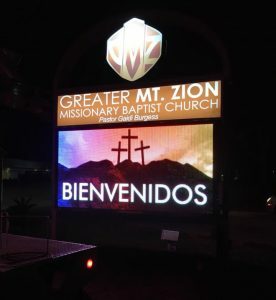 Take the experience provided by your exterior digital displays even further by investing in attractive indoor digital message centers by ImageTEK Signs & Graphics! Your indoor digital displays allow you to create a fun, interactive environment. Digital displays can be used for streaming media, video, or to display digital images and information and are ideal for public spaces, museums, retail stores, restaurants, transportation facilities, stadiums, hotels, even corporate buildings. If you desire a professional way to display information about your business and brand history or want an attractive wayfinding option, digital displays by ImageTEK Signs & Graphics, is a smart long-term investment in your business! 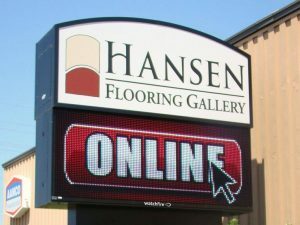 Our team of knowledgeable signage experts are eager to show you how our digital display options can help you inform your customers of new products and services, help them find navigate your facility, and create an engaging environment that not only reflects the professionalism of your business but also improves your customer’s experience. We do all of our work right here in our local state-of-the-art sign shop. By using environmentally-friendly, sustainable materials as well as efficient manufacturing techniques, ImageTEK Signs & Graphics not only saves you time but also money. We even provide expert installation to give your sign that professional polish you’ve always wanted, at a price you can afford! Let the experts at ImageTEK Signs & Graphics show you how! As your local full-service sign shop, we handle every aspect of your digital sign project, including sign design, manufacturing, installation, maintenance, and repair. During your initial free signage consultation, we take the time necessary to learn about your business, brand, team, and ideas. Once we understand who you are as a business and what you want out of your signage, we will create a proof of what your sign will look like in your space. This sample allows you to see precisely what your finish product will look like in your space, how it will function, and how it will help you achieve your goals. When you work with us, every sign we create is custom tailored to your business and brand, that means that if you want to change anything from the shape of your sign to the placement, we will make those adjustments to ensure that your project matches your vision! Once you have approved of your final project, we move onto the manufacturing process. Our experienced manufacturing team will quickly and efficiently begin fabricating and preparing the individual elements needed to install your project. If your product requires any permitting, we will handle that during this process as well. As a leader in the sign-making industry, we pride ourselves in accuracy, and work diligently to ensure that every aspect of your signage project is in-line with your approved proof. Once your digital sign is ready for installation, our industrious installation team will then install your sign in your space. Our expert signage installation team handles every aspect of your digital sign installation, including all electrical components to ensure safe and secured installs, as well as helping you to understand how to work your new digital signs. As a full-service sign shop, we are the complete package, providing the support you need from your sign design, through professional installation and more. ImageTEK Signs & Graphics is your local source for the attractive, eye-catching digital signs that give your business the edge it needs to compete in today’s fierce economy. We believe that the only way a sign company can truly serve their customers is by providing excellent customer support, superior signage solutions, and by supporting you throughout your entire sign project. When you need a reliable local signage partner that can deliver the solutions you need to build your professional image, reach new market success, and grow your business, ImageTEK Signs & Graphics is the right choice. We look forward to discussing your ideas and showing you why we are a leader in the sign making industry! Call ImageTEK Signs & Graphics today at (201) 351-8755 for your Free Consultation with a Digital Sign Expert!